Microsoft is reportedly working to close a deal with business-minded social network Yammer Inc. in an acquisition that could be valued at more than $1 billion. Two people familiar with the subject tipped Bloomberg off with regards to the purchase while a source at Yammer allegedly told Business Insider the same thing. If it becomes official, the acquisition would add to the growing list of startups obtained by larger IT companies. As the publication points out, companies in this category spent $17.4 billion on software startups in 2011 versus only $715.5 million in 2009. Several of the smaller companies were purchased before reaching an initial public offering. Experts believe that the acquisition would be a big boon for Microsoft as it would help shore up their corporate customer offerings. Other similar buyouts in recent times include Salesforce.com’s purchase of Buddy Media Inc. for $745 million earlier this month and Oracle procuring Virtue Inc. and Collective Intellect Inc., two companies that specialize in social media data analysis. 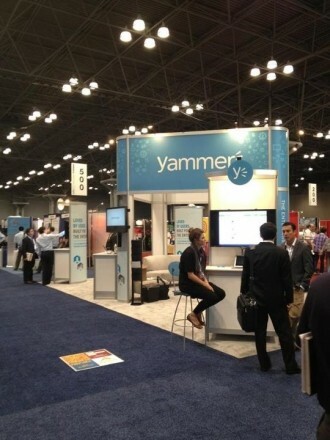 Yammer was founded in 2008 by former PayPal chief operating officer David Sacks. The company has reportedly raised over $140 million in venture capital. Their services are utilized by more than 200,000 companies worldwide including 99designs, Cisco, Ford Motor Co. and LG Electronics. Spokespeople for Microsoft and Yammer declined to comment on a possible deal but Bloomberg believes an agreement could be reached as soon as Friday.